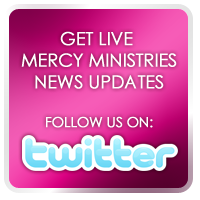 Mercy Ministries News: Karen Wheaton at Mercy! Karen Wheaton, who travels worldwide in her ministry, came to Mercy Ministries in Nashville and spent the day. It was a great time as she told some things that she has had to overcome in her own life, and she communicated with the girls about the destiny that they have before them as a generation in the earth today. She also told of a group that she founded 10 years ago in Hamilton, AL called The Ramp. Check it out at www.theramp.org. They have between 1,000 – 2,000 young people visit there every month, and she has invited our girls and staff to make a trip there in the first part of 2009. It was so great having her here and we wanted to share these pictures from the special time we all had together.